This skin condition is caused from chronological ageing or in response to harsh sunlight. It can be safely and effectively treated with our key proprietary ingredients. 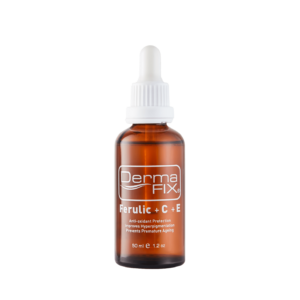 The DermaFix products contain Pigment reducing complexes helping to improve Dark Spots, Melasma and Hyperpigmentation. All DermaFix products are safe and Hydroquinone free. The melanocyte is the pigment cell, producing a pigment known as melanin. Excessive melanin or pigment formation is known as hyperpigmentation is exclusively dependent on Ultra Violet Exposure from the sun’s rays. Sunscreens containing UVA and UVB filters such as Zinc Oxide, Avobenzone and Titanium Dioxide protect and prevent against skin darkening as they are offer High Protection benefits when applied to the skin regularly. Not all skin lightening products have the quantity or quality of active ingredients necessary to resolve this specific skin care condition. Many skin lightening ingredients are available which include N-Acetyl Glucosamine, Paper Mulberry Extract, Kojic Acid, Vitamin C, Azelaic Acid, Alpha Arbutin, Niacinamide, Licorice and Bear Berry, etc. In more severe cases such as melasma, known as the mask of pregnancy, using a melanin antagonist for skin lightening is necessary. 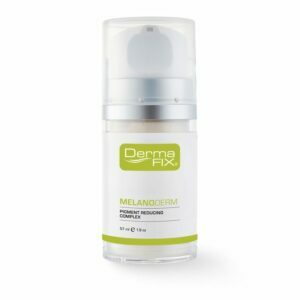 DermaFix MelanoDerm being at the forefront of skin lightening by acting as a melanin antagonist helping to improve and prevent hyperpigmentation. An integrated skin care routine must be followed to control this concern. 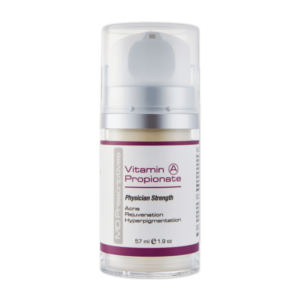 It is very important to determine the cause of hyperpigmentation with UVA/UVB exposure having the most aggravating consequences. 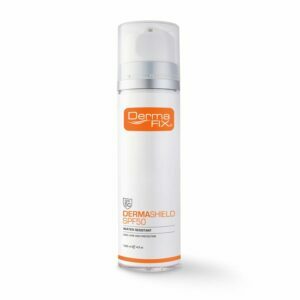 Protect your skin with DermaFix DermaShield SPF45/50 High Protection UVA/UVB Sunscreen. DermaFix DermaShield SPF50 meets the South African National Standards SANS 1557:2013. 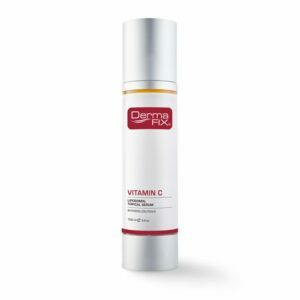 Apply DermaFix Vitamin C Serum after the cleansing routine. 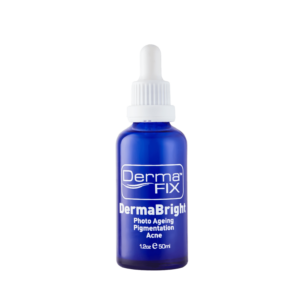 Follow with the application of DermaFix MelanoDerm to help combat melanocyte activity, thereby slowing down melanin production which causes the hyperpigmentation. 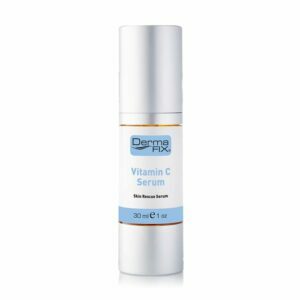 DermaFix ACC Vitamin C can be applied to the neck and décolleté for various benefits such as anti-ageing, skin lightening and assisting to control breakouts. End off your morning routine with DermaFix DermaShield SPF45/50 High Protection UVA/UVB sunscreen. DermaFix DermaShield SPF50 meets the South African National Standards SANS 1557:2013. Optional: One can add DermaFix ACC Tranexamic Gel to their evening routine applied before application of DermaFix MelanoDerm for advanced results. ***NOTE*** Important information about hyperpigmentation! Various levels of this condition exist therefore it is important to re-evaluate treatments every 90 days. Dietary-MSM (Methyl Sulfonyl Methane) offers anti-inflammatory benefits. 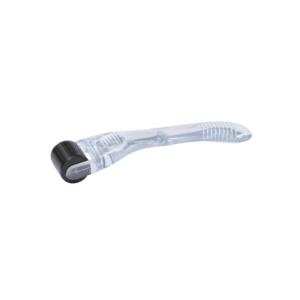 DermaFix MT Microneedling homecare treatments can be used for advanced results. 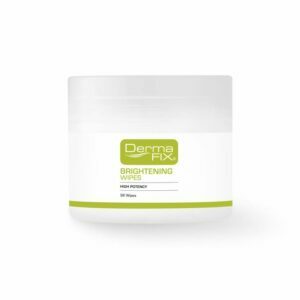 The DermaFix Brightening Kit is available for introduction to the DermaFix skin lightening range. 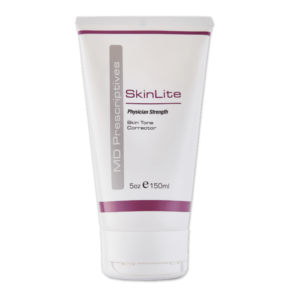 Once an established DermaFix skin care routine has been obtained MD Prescriptives SkinLite can be incorporated into your routine for additional benefits. Please note incorrect peeling techniques and inflammatory products could exacerbate the condition. Cleanse the skin with DermaFix Brightening Cleanser which may be left on for 3-5 minutes. 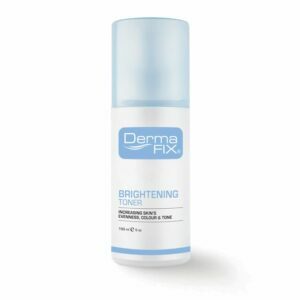 Advance treatment with one drop of DermaFix DermaBright added to the Brightening Cleanser at night only. 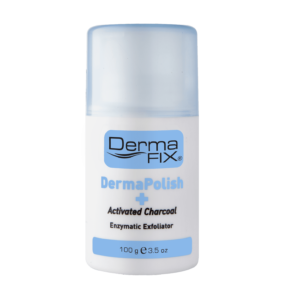 Exfoliate daily with DermaFix DermaPolish, a gentle enzyme exfoliator assisting with the removal of dark redundant skin cells. 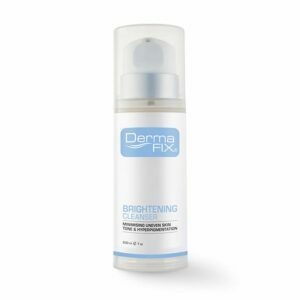 Tone the skin with DermaFix Brightening Toner which has an inhibitory effect on Tyrosinase activity and is an important step to help correct the hyperpigmented skincare concern.